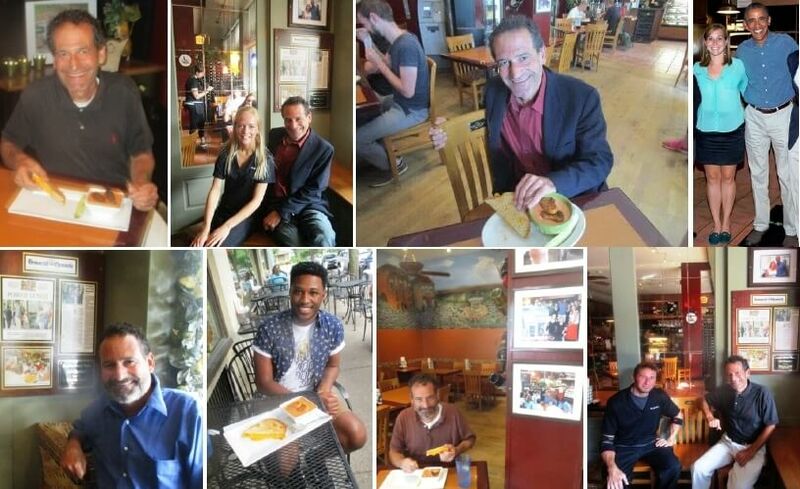 1st top, with Presidential grilled cheese and tomato soup, now the Obama Special (2016); 2nd top, with Magnolia’s hostess Devin Congdon (2015); 3rd top, with Obama Special (2015); 4th top, Evalyn Gleason and Barack Obama (2013); 1st bottom, (2018); 2nd bottom, local comic Malcolm Whitfield with Obama Special (2018); 3rd bottom, with Obama Special (2017); 4th bottom with Brian Palermo who cooked for President Obama that day (2016). As part of our Presidential Visits series, as seen in At a seat from the President’s table two years later and At a seat from the President’s table three years later and At a seat from the President’s table four years later, we’ve been visiting Magnolia’s on the anniversaries of President Barack Obama’s lunch there on August 22nd, 2013. By far the most significant story is by Evalyn Gleason in 2017. Evalyn provided her first hand account of the lunch, personal photographs and a reflection on where she has come since. A year and half out of office, political scientists are assessing Obama’s legacy as the current administration vigorously seeks to undo Obama initiatives like the Affordable Care Act. Sometimes the “what if” game is played: what if Hillary Clinton had defeated Donald Trump. In the two previous open seat presidential elections — McCain/Obama in 2008 and Gore/Bush in 2000 — the parties in power fell from power, in essence denying Bush and Obama what is often seen as an unofficial third term. By contrast, when Reagan passed the mantle to George H.W. Bush in 1988, the victory cemented Reagan’s legacy as a great president. If Clinton had won, Obama might well be burnishing his image as party spokesman and presidential advisor. 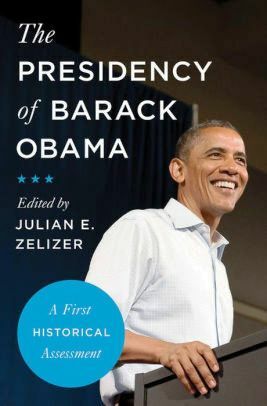 As described in The Presidency of Barack Obama: A First Historical Assessment (2018), to a much higher degree than with Clinton and Bush, Obama’s legacy is interwoven with the popularity and actions of his successor, Donald Trump. Trump has made repudiation of Obama and his executive decisions central to his message and agenda. Trump is ever willing to mention Obama in his tweets. Trump’s own reelection or repudiation in 2020 might be a key variable in the ongoing assessment — up or down — of the Obama presidency. 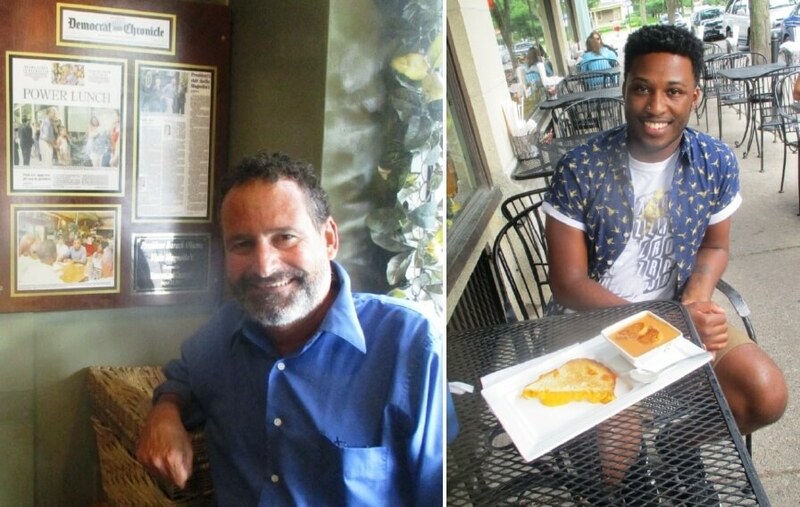 This year when I ate the Obama Special — grilled cheese and tomato soup as served in 2013 — at Magnolia’s, I heard the familiar story. People are still fascinated by the visit and the memorabilia accumulated by Magnolia’s. 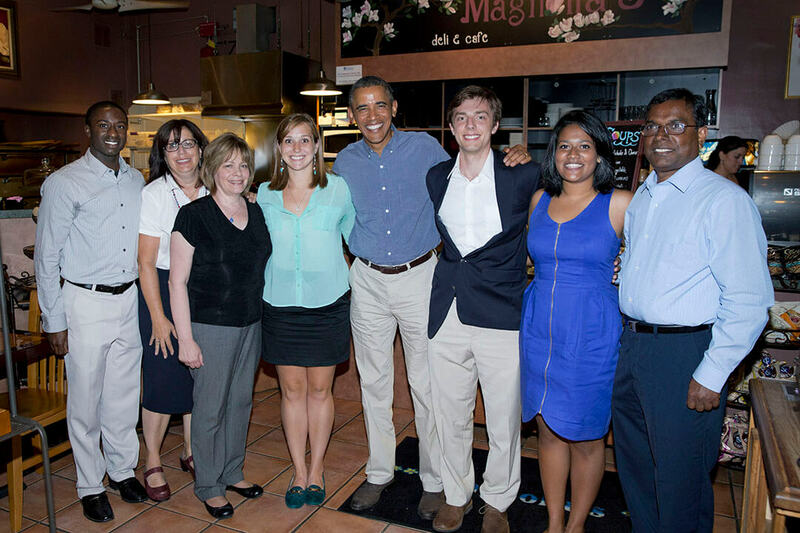 One hostess particularly enjoys it when customers who never knew Obama was in Rochester encounter the memorabilia as she shares their new found fascination. Not all customers are enamored. The hostess says people occasionally say Trump deserves some equal time; Magnolia’s should also serve a Trump Special. At the outside table, I also met again Malcolm Whitfield who has appeared in the magazine. (See Malcolm Whitfield; A Superb Comic Fortifying His Legacy In Stand Up) Malcolm supported Obama and generally approves of his presidency. Obama probably did not live up to lofty expectations, but Malcolm believes Obama “did what he could.” Malcolm thinks Obama already has a solid place in history that will only gain in stature. Even if Obama could not always achieve his loftiest goals, Malcom says “compared to what we have now,” Obama looks pretty good.